There can be no greater thrill in tricking someone awful into helping the world. In 2014, The small town of Wunsiedel in the German state of Bavaria got to discover this first hand. Though it was a while ago, we hope this hilarious story will give you succor as we deal with our own Nazi troubles. Wunsiedel had a Nazi problem for many years. The town was the initial resting place of Rudolf Hess, Hitler’s Deputy-Führer and Mein Kampf editor. Though Hess’ body isn’t there anymore; in 2011, it was exhumed and destroyed. The townspeople didn’t know what to do — they hated that Neo-Nazis marched in their town every year for 25 years. No one wanted them, and they were afraid of them. But like the brilliant Mel Brooks, they realized one of the best ways to fight Nazis (other than actually fighting them) is to mock them. So Wunsiedel came up with a great plan: Let them march — in fact, encourage them to march. The townspeople got together and pledged to donate 10 Euro for every meter the 250 marchers walked. 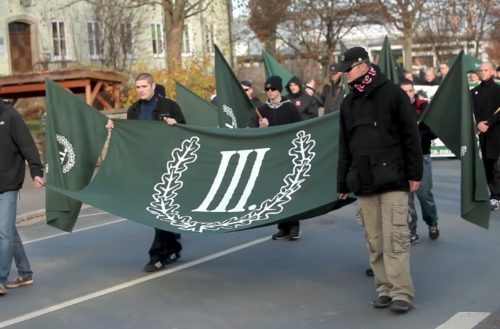 The money went to EXIT Deutschland, a program that helps get neo-Nazis to renounce their ways. At the end of the march, the town placed a finish line and a big banner thanking the neo-Nazis for the “donation.” And it was a pretty sizable donation — 10,000 Euro (about $11,700 US). 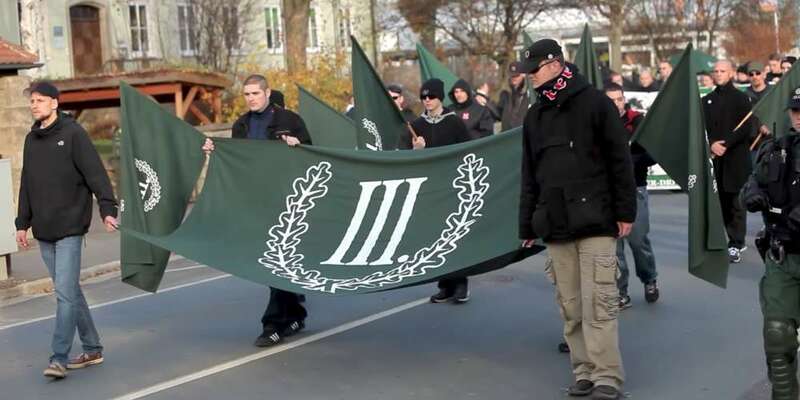 While, sadly, Neo-Nazi marches in Wunsiedel still continue, so does Rechts gegen Rechts. Rechts gegen Rechts has raised over 47,000 Euros since then. In addition to EXIT-Deutschland, they’ve also paid for the removal of Nazi tattoos and supported refugees.